Mark’s Do-Nut Shop is an institution in North Little Rock. It is an old school donut shop that has been around since 1978. So old school, they only took cash until last year. There is nothing fancy about Mark’s Do-Nut Shop. At Mark’s they don’t have exotic flavors, instead they have basic donuts done exceptionally well. Their donuts are incredibly soft, yet still have a good bite to them. They are also almost always straight from the fryer warm because they keep them cooking all morning to serve the masses the freshest product. 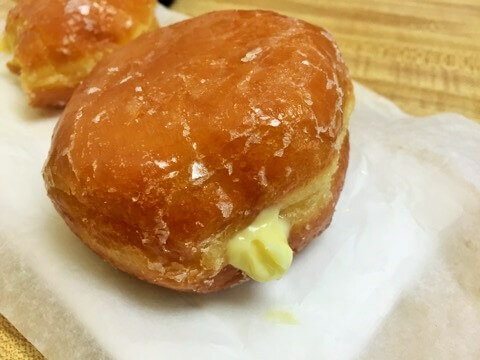 I love this donut so much that I had a coworker bring some Mark’s to the office one day, but they were out of Bavarian cream, but making more. He knew that I was going to be miserable to put up with (well, more miserable than normal) if we had Mark’s and I didn’t get a Bavarian cream, so he waited over twenty minutes while they made some more. 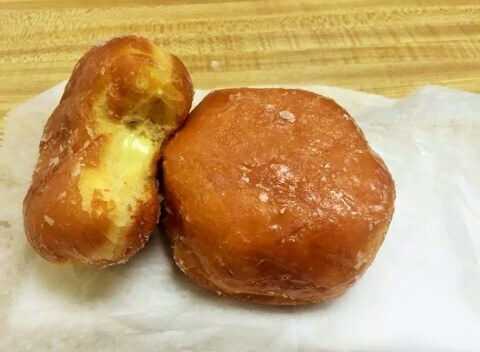 So next time you are looking for a donut, make the drive to NLR for Mark’s and treat yourself to a Bavarian cream donut. You will thank me later. Also be sure to grab plenty of napkins because will need them when you can no longer resist the urge of a freshly cooked Bavarian cream donut and decide to eat it going down the road.